入住时间：January 24 – April 29, 2019 . 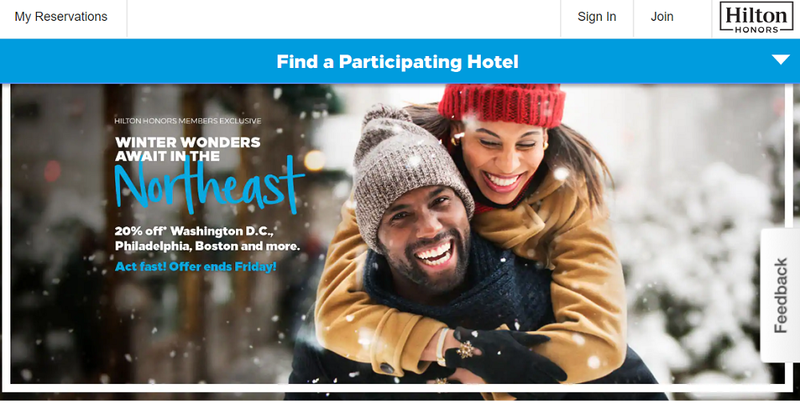 Offer is subject to availability at participating Hilton Portfolio hotels and resorts in selected regions for stays booked between 12:01am Eastern Standard Time, January 21, 2019, and 11:59pm Eastern Standard Time, January 25, 2019 , and completed January 24 – April 29, 2019 . The booking must be made within the period specified herein and three (3) day advance reservations are required. A limited number of rooms will be available for this offer. Additional restrictions and blackout dates may apply and vary by property. Rates will vary based on individual hotels and specific travel dates selected. Unless otherwise stated, quoted rates are per room per night, based on single/double occupancy and do not include taxes, gratuities, incidental charges and resort fees (if applicable). To book by phone within the US or Canada, please call +1-800 4Honors (446-6677) or view Global Reservation phone numbers. When booking, you must book the “Limited Time Offer” to receive this discount.